NOTE: The following story appeared in EXCHANGE, the 2010 College of Liberal Arts Annual Report. There's a story that offers insight into the character of the late Charles McDowell. On a trip to Russia in the late 1980s, in a busy city square, the weather presumably a few degrees cooler than it was in Texas that time of year, McDowell shepherds a group of students, faculty members and tourists through the city's public transportation system and onto a tram, readying the group for a cross-town trek to a museum or church or bustling marketplace. His excitement and enthusiasm is effervescing and he points out various landmarks and sights as they begin the day's journey. Inevitably, a gruff-looking porter comes through the car, mundanely checking for tickets. McDowell, who is without a pass, smiles and strikes up a conversation with the worker in his native language. There are questions and laughter and winks and nods and maybe a handshake or two as the group arrives at its destination and departs. No citations are issued, no angry words exchanged, and McDowell has made yet another new friend. Dr. Mark Cichock, Professor of Political Science, witnessed this scene several times on trips abroad to Russia and the Soviet Union and even once found himself without a train ticket -- only to be scolded and verbally dressed down by a older woman with little patience for Americans who can't follow the rules. Today, he acquiesces that only someone like McDowell -- who applied the same tenacity in his Russian language classes as he did to helping international students find opportunities to learn and grow on the campus of The University of Texas at Arlington -- could get away with "doing things his way." "Whenever he could find a way to get around the system, he would do it," said Cichock. Perhaps it's that truly maverick spirit that inspired a major donation and tribute to the Modern Languages professor's memory. Earlier this year, a couple committed to education and global understanding created a new endowment to establish the Charles T. McDowell Center for Critical Languages and Area Studies. Betty Ruch made a gift of $580,000 on behalf of herself and her late husband, Roger Ruch. Their contribution is being doubled through the Maverick Match, an innovative program that matches major gifts, to establish the $1.16 million endowment. McDowell, who died in 2007, established the Center for Post-Soviet and East European Studies at UT Arlington in 1968. The Ruch endowment will enable the new center within the College of Liberal Arts to have a global focus, including Russia, the Baltic States, the Caucasus, Central Asia, Eastern and Central Europe, the Middle East and China. The McDowell Center also will focus on the study of languages and areas described by the National Science Foundation, the United States Department of Defense and the U.S. State Department as critical for their strategic interest and economic potential. "The contributions of the McDowell Center will be immense in terms of our commitment to global understanding," President James D. Spaniolo said. "Endowments like this play a major role in the University's work to become a nationally recognized research institution." The Ruches were the host family to 28 exchange students. Among their students were the first teenagers from mainland China and the Soviet Union to ever live with an American family. The couple traveled the world to meet parents of teens who would live in their home while studying in the United States. They met Professor McDowell in 1970 during their 17-year quest to host a student from the Soviet Union, Betty Ruch recalled. The Ruches admired McDowell's work and shared his desire to provide students from other nations a broad-based education and exposure to the American way of life. You can't talk about the McDowell Center without first talking about the center's namesake. McDowell had a distinguished military career before joining the UT Arlington academic community. He taught Russian language, history, economics, geography and political science in a classified joint military/civilian intelligence agency. He was a graduate of the Armed Forces Staff College and of a two-year Soviet-East Europe Advanced Foreign Area Studies Program at the doctoral level. He was a master parachutist and highly decorated for his service in the military and to the United Nations. 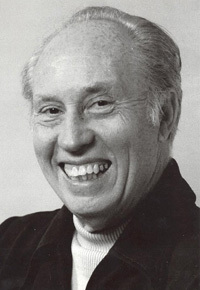 McDowell earned a master's degree from Columbia University in 1953 and an advanced degree from Texas A&M University in 1956. He also served as a Diplomatic Courier and USSR Specialist, as well as a Foreign Service Officer for the State Department in the former Soviet Union, Europe, Asia, and North Africa. At UT Arlington, McDowell offered up his knowledge and love for the people and culture of a Cold War enemy to anyone who was interested. He was renown for roaming Hammond Hall, waiting for students to drop their Spanish classes and convincing them to take Russian, said Dr. Pete Smith, a former colleague and Russian language professor. "At many institutions, you study language as an academic exercise," said Smith, who now serves as Associate Vice President for Academic Affairs. "For Charles this was a passion. He put his home number on his syllabus and encouraged students to call him to talk about Russia. He wanted his students to see it was a living world." In a time when the media and Hollywood depicted the Soviet Union as "the Evil Empire," McDowell was deliberately debunking those myths and challenging his students to look past politics and governments to see the people. He would plan and guide regular trips behind the Iron Curtain, host Eastern European students and invite Communist scholars and politicians to visit the UT Arlington campus - including a young Moscow city legislator named Boris Yeltsin. "The image of red tanks coming up over the hill was never the idea of the Soviet Union for Charles," Smith said. "He saw it as a country of people we needed to engage with." Cichock, who will serve as Interim Director of the McDowell Center, said the trips would last several weeks and traverse nearly a dozen countries. McDowell's knowledge of the Russian culture and language enabled those on the trip to gain unique experiences and challenge preconceptions. "Most of our students came from a distinct viewpoint of all things Russian and most of it was decidedly negative," said Cichock. "[McDowell] wanted the students to get as much exposure as possible to the culture. We stayed in low-rent joints ... we traveled with Russians, stayed with Russians and mixed with them. He was always big on making sure you got the opportunity. If there were places that were off-the-beaten path, he'd take us there. These were places where 'real Russians' lived." At UT Arlington, McDowell served in numerous capacities, including as dean of student life, chairman of the Department of Foreign Languages and Linguistics, and assistant to the president. He also was the first chairman of the Faculty Senate, a position to which he was elected four times. He was honored for his teaching, advising and student mentoring. "The center is a fitting way to honor a man who devoted his career to giving exemplary service to his university, his country, and to communication between the peoples of the world," said Dr. Beth Wright, dean of the College of Liberal Arts. When officials were reviewing the short list of faculty interested and able to lead the newly minted McDowell Center, Dr. Mark Cichock's name was an immediate standout. After all, the political science professor had known McDowell for 22 years and they team-taught dozens of classes over the past two decades. Cichock agrees the decision offers some continuity as McDowell's initial project - the Center for Post-Soviet and East European Studies - expands. "Because of our basic interests, we had a close association and talked about politics, travel and culture," Cichock said. "He gave me insight on how he managed the center and dealt with students and parents and alums." In addition to the study of critical languages and the history of cultures in Asia and the Middle East, the McDowell Center will focus on the development of study abroad and exchange programs. It will sponsor lectures by renowned experts and provide annual scholarships for exchange students who participate in the International Research and Exchanges program. McDowell served as national IREX representative for international post-doctoral scholars selected to come to UT Arlington. Cichock, an expert in comparative political analysis, Russian and East European politics and foreign policy, said the initial goals of the center will be three-fold: building the center's scholarship offerings, evaluating existing programs and acquiring federal grants available for critical languages. "Our goal is to help students find out about the world around them," he said. "We'll start by getting our students aware of resources available on campus and matching university skills and capabilities to government needs. It's not about filling government roles, but it's inevitable money will come from the government sector to promote learning of critical languages and understanding of these cultures." The McDowell Center's activities will be multidisciplinary, involving the departments of modern languages, history, political science, English and linguistics as well as research in other departments in the College of Liberal Arts and across UT Arlington. Cichock said the center will focus on the exchange of people and ideas and culture between various countries and the United States. "The ultimate goal is to make UT Arlington the place to get others to come and learn how to establish a critical languages program," he said. "In three to five years we want to be a place others will want to emulate. We want this to be a flagship program on our campus and in the College of Liberal Arts." Smith says Cichock is the perfect candidate to lead the new McDowell Center. "Mark is an ideal person to step into this new role," he said. "He embodies the spirit of Charles [McDowell] ... he'll keep thinking about engaging in languages and cultures of people we need to know about." The center's lofty expectations and following in the footsteps of a larger-than-life, beloved individual is not lost on Cichock; he knows only too well what he's getting into. But Cichock is confident in a short time the McDowell Center will make an impact on the UT Arlington campus and beyond. "We may not change the world," he said, "but we can certainly change the impressions of the world." Which is all Charles McDowell wanted to do from the beginning. University Media Relations' Sue Stevens contributed to this story.